Be it simple or complex, choosing colour is the start of most stitch projects and often continues as the project takes shape. Those initial colour choices can be very outfacing though and I've seen many a stitcher almost give up on a new project before they're past first base. Choosing colour is a skill like any that requires practice to build confidence and if my experience of school art lessons was anything like yours, there was no head start! I'd therefore like to offer up a bit of info to make colour selection easier and perhaps even a little enjoyable too. 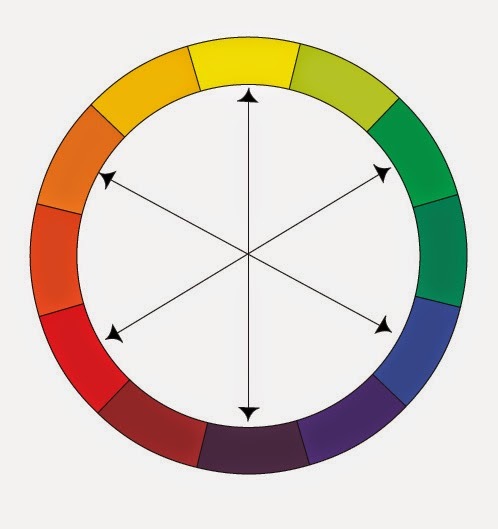 To do this I'll go back to a few basics, starting with this colour wheel. I wouldn't mind betting that your eye was immediately drawn to the colour or colours on the wheel that you most like. Most of us have clear views about favourite colours, it's choosing colours to sit along side is where the angst can start. Those looking for a calming effect often choose colours that sit alongside on the colour week, the term for this is analogous colours. 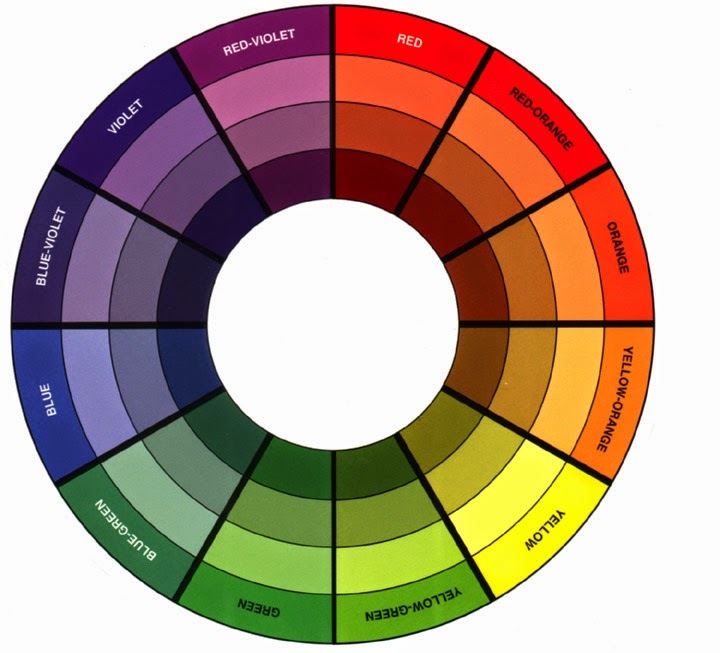 If your preference is for more lively colour combination, you're more likely to pick colour combinations that sit on different parts of the wheel. Colours that sit directly opposite are called complimentary colours. 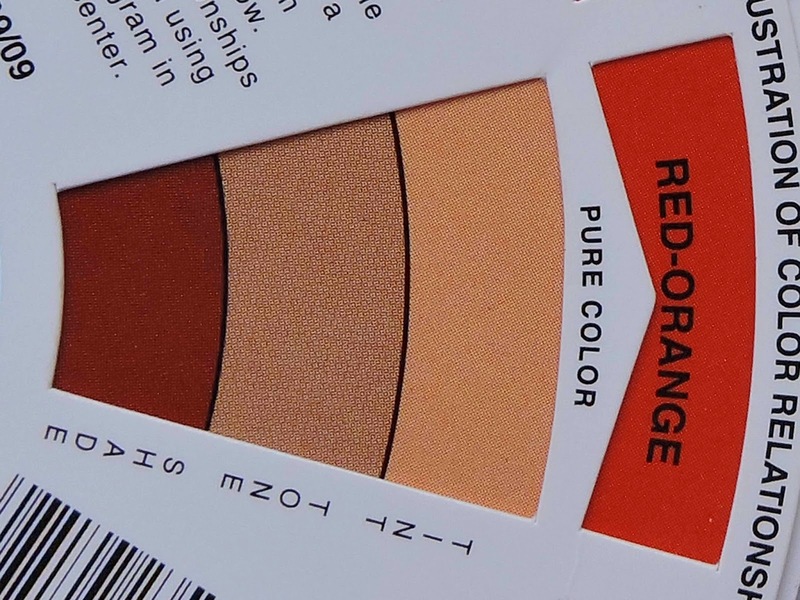 In reality there is a little more to consider as each of the above colours has tints, shades and tones. Oh and for good measure there is of course good old black and white to factor in. At this point it can all start to feel a little too much like those school art lessons best not remembered! To see how this theory is put into practice with fabrics, the simplest way is to look at the colour combinations fabric designers have chosen. This said, you really don't need to greatly analyse, you just have to like what you see! Once you start flexing your colour selection muscles and looking at colour combinations, you quickly build a sense of what you do and don't like - and most importantly the selection process then starts to get enjoyable. There is also a little help at hand whilst you build those skills from very helpful designers of cotton fabrics particularly. 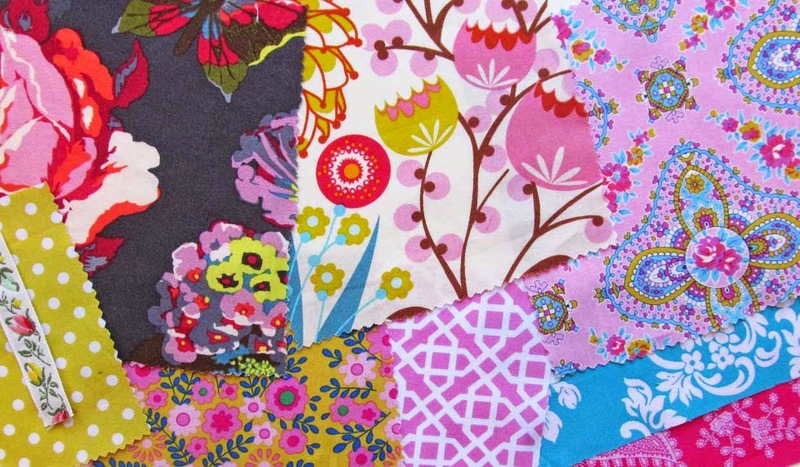 You can now readily buy packs of precut cotton fabrics packed in colour combinations that all work together. 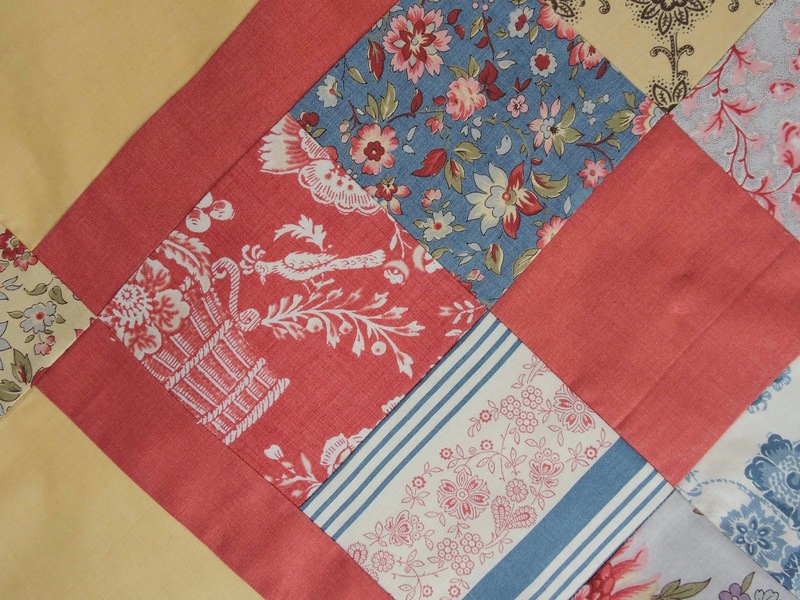 Here is a selection of Moda 'French General' fabrics from a 'charm pack' that I've been working with recently. I may never have combined these personally, yet the combination works all the same. Oh and one other tip for cotton fabrics is to look at the selvedge edge. 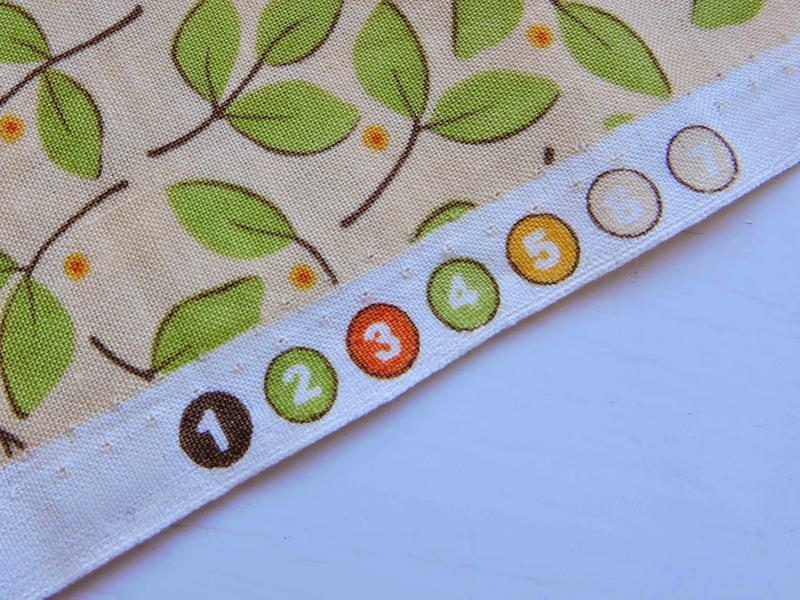 If you have ever seen these colour marks and wondered what they are for, they are to help you select co-ordinating fabrics! 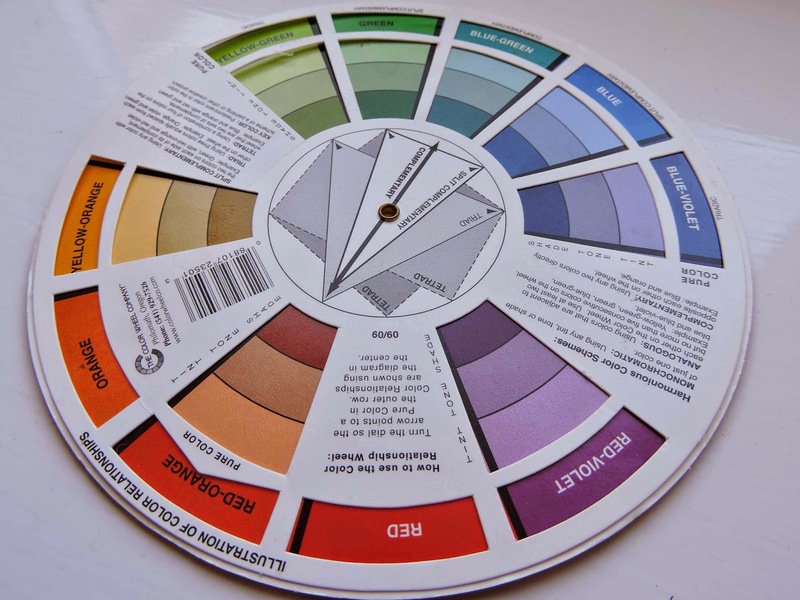 And if you fancy 'flying solo' with developing your colour confidence, the next time you pass an art shop, buy yourself one of these colour wheels and try your hand the next time colour selection calls. Thinking about the myriad of ways colours can be combined can really come fun and just a touch addictive!